Arka Media Works owner Shobu Yarlagadda has issued a legal notice to Rajarajan, the boss of K Productions, after the cheque of Rs 17.60 crore as payment for Baahubali 2: The Conclusion bounced. 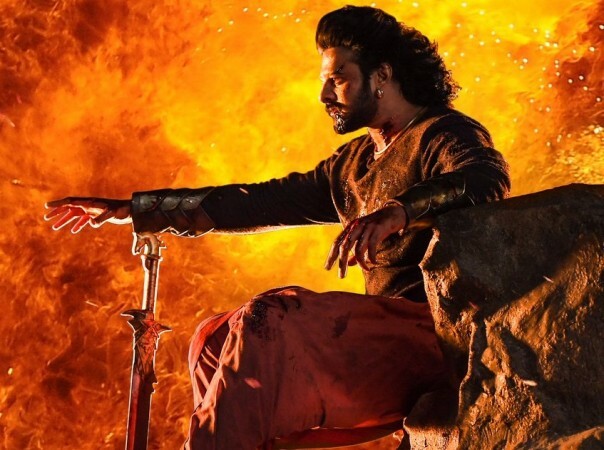 Shobu Yarlagadda, the owner of Arka Mediaworks, has issued a legal notice to Rajarajan, the boss of K Productions, after the cheque of Rs 17.60 crore as payment for Baahubali 2: The Conclusion bounced. Rajarajan's K Productions is one of the leading film production and distribution houses in Tamil Nadu. This banner had the Tamil theatrical rights of Baahubali 2, which hit the screens on April 28, 2017, for a record amount of Rs 52 crore, the highest ever price in Kollywood. Now, the makers of Baahubali 2 claim that Rajarajan is yet to make a payment of Rs 17.60 crore and his cheque of the amount bounced. Hence, they have sent a legal notice to the distribution house. Critic Sreedhar Pillai tweeted a copy of it and wrote," #Bahubali producers @arkamediaworks issues legal Notice to #KProductions Mr #Rajarajan towards non payment of #BahubaliTheConclusion Payments." A statement from the legal notice read, "This is to inform you that M/s K Productions represented by its sole- proprietor owes an amount of Rs. 17,60,00,000 (Rs. 17.60 crore as on 31.07.2018) to M/s Arka Media Works (hereinafter "My Client") towards amounts payable towards purchase of exploitation rights of the feature film Baahubali: The Conclusion." But S Rajarajan's cheque was dishonoured with the endorsement "funds insufficient". "Suffice to state that after issuance of a statutory notice under Section 138 of the Negotiable Instruments Act, 1881, my client has initiated criminal prosecution against Mr. Rajarajan and the said cheque bounce case is pending adjudication," claims the advocate of Arka Mediaworks in the legal notice. According to the legal notice, Arka Media Works knocked the doors of the City Civil Court in Hyderabad, seeking inter-alia. The court issued a direction to K Productions to "furnish security for an amount of Rs 17.60 crore, within a week from the date of the order, failing which, the bank account of K Productions stands attached." But Rajaranjan failed to furnish security for the amount. "M/s K Productions and Mr. Rajarajan have failed to furnish security for an amount of Rs. 17.60 crore, till date, owing to which, as per the orders passed by the Hon'ble Court, My Client has sought for attachinent of the bank accounts of M/s K Productions forthwith," reads the statement in the legal notice.